We are a community that is alive in the Spirit and actively engaged in celebrating. We are serious about spiritual growth and intent on living the faith. Vatican II tells us that it is the liturgy, especially the Eucharist, through which the work of our salvation is accomplished. In the communion of our church liturgy, we express and demonstrate what Christ means for humankind. At St. Vincent we take this responsibility of personal and ecclesial transformation into the mind of Jesus, very seriously. And we have found to our delight that the mind of Jesus is expansive, welcoming, warm, liberating, and affirming! Our liturgical celebrations reflect this discovery. 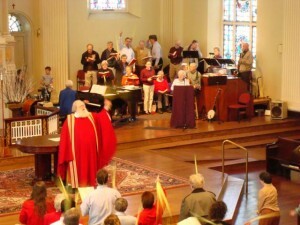 We have an active and engaged Liturgy Committee that brings creativity and spirit into our weekly liturgies and depth and meaning into the Church’s seasonal celebrations. Yet, it is our community liturgical celebrations that attract people from over the metropolitan region. We honor the Word of God. We have placed a specially commissioned, leather bound set of the books of the Jewish and Christian scriptures, our Altar Bible, prominently on either side of the central tabernacle. Our lectors read directly from this Bible, and our liturgy planners work with the homilist to elicit scriptural themes to weave into our Sunday Masses. We have homilies that break open the experience of the early Christian communities who produced our scripture and challenge us to reflect on our own journey. We believe the Word needs to be heard and by all so we provide a separate, developmentally appropriate Liturgy of the Word for Children (pre-K to middle school) after the Opening Prayer at the Sunday 9:30 Mass. Children return after the homily. We honor the Sacramental nature of our tradition. We conform to Vatican II’s directive that we come to the liturgy fully aware of what we are doing and actually engaged in it. At our Sunday Mass people from the congregation prepare the altar as altar dressers and Eucharistic ministers assist our celebrant. 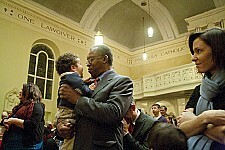 Infant baptisms occur during the Mass with full community affirmation. We conduct Reconciliation services during Advent and Lent in conjunction with nearby parishes. In all of this, we sing! We sing with heart and gusto–to praise the Lord and to pray. 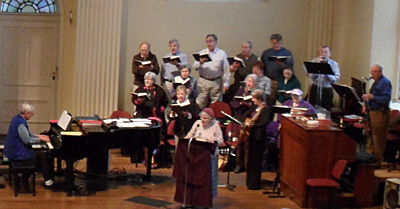 We unite our voices in song to lift our spirits and deepen our community prayer life. 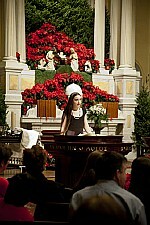 The rich musical accompaniment at St. Vincent is designed to support congregational singing. 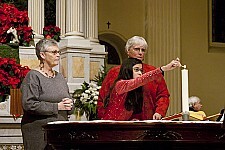 Parishioners volunteer their talents to express themselves in music in our choir or as musicians. Our Liturgy Committee identifies Scripture-based themes for Advent, Lent, and the Easter seasons that are woven into coherent calls to worship and homilies. 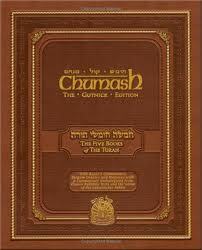 They are then animated in special ritual and supplemented by take-home material for further reflection. In Lent, Wednesdays alternate between liturgy (Ash Wednesday, Reconciliation, Stations, Tenebrae) and education (book discussion or lecture series). But we pull all stops out for Holy Week. 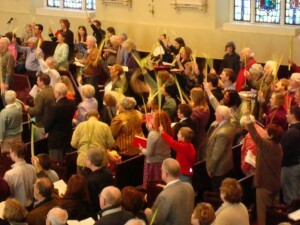 Palm Sunday sees us processing around the block; Wednesday we have Tenebrae services; Holy Thursday has the Jewish Seder preceding services; Good Friday offers an opportunity to participate in the Holy Office, Stations of the Cross for children, and the Church’s Memorial Service in the evening. Our parish continues to honor the ancient tradition of an all-night vigil at the tomb, re-telling the stories of our salvation history in the Jewish scriptures from Friday evening to Saturday morning. On Holy Saturday evening, we celebrate the vigil in all its exultation. On Easter morning, we have a jubilant Mass, followed by breakfast everyone. We also take advantage of the long stretch of Ordinary Time in the summer to produce our Summer Series which consists of a focused study of some aspect of our faith for 3-5 weeks. We have marched through the books of the Jewish scripture, Romans, Acts, and the many meanings of the Eucharist during our weekend celebrations. 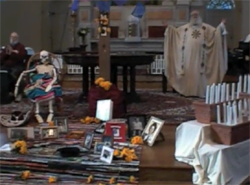 In the Fall, we have incorporated the fullness of the Mexican tradition of the Day of the Dead in our celebration of All Saints and All Souls when we decorate the altar with mementoes of our dead and call out their names in our liturgy. Liturgy for us is not a rote, dry, or deadening ‘ticket-punching’ exercise. For us, liturgy is a joyful sharing of the word of God, through action, sacrament, and example. So if you want a community that is alive in the Spirit, actively engaged in celebrating, serious about spiritual growth, and intent on living the faith, join us!